Hi Friends! Welcome back to Healthy Grocery Girl! On Instagram I recently asked for blog and video topics you’d like me to cover, and this was a requested topic! So thank you for your suggestions. I love creating content that you want to read and find helpful.  We have so many recipes between our blog and YouTube channel that are perfect for adults and kids. We try and make all of our recipes easy to adapt or add to so that everyone in the family can enjoy them. Recipes that are kid approved can be tricky because the type of food each child prefers to eat can really vary! The good news is that taste buds can change and adapt. The more we are exposed to new, fresh flavors the better our tastebuds learn to appreciate them – even as a kid! Also all of these recipes are dairy-free and mostly gluten-free however they may not be suitable for every child depending on personal allergen needs. A lot of our recipe include nut butter, because it’s a source of plant-based protein. If you or your child has a tree nut allergy, you can swap nut butters for seed butters such as sunflower seed butter in all of these recipes. 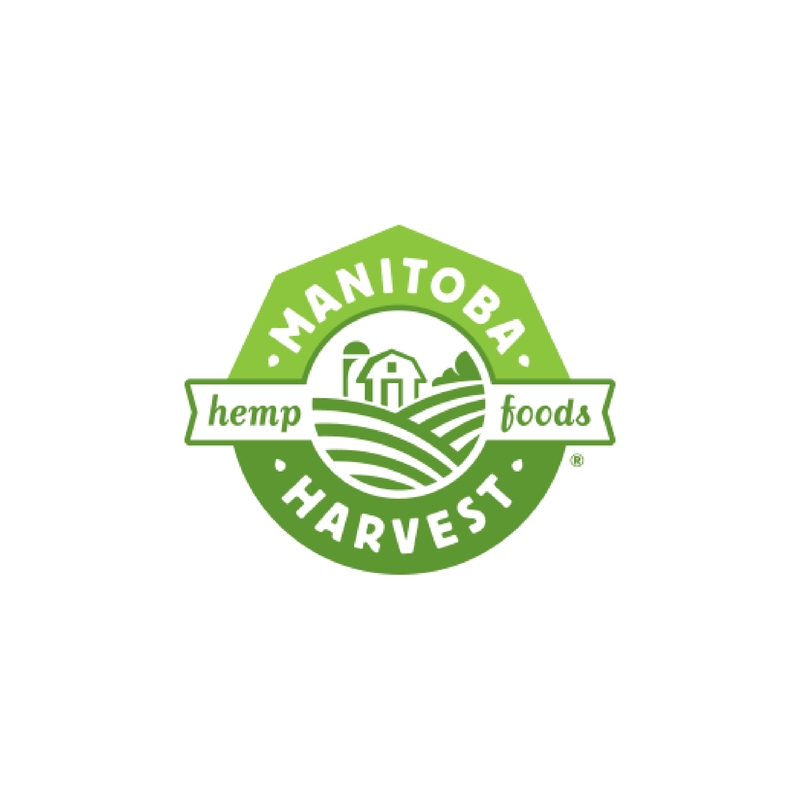 Per usual with all of our recipes feel free to change, adapt or swap out ingredients to make them suitable for your dietary preferences. I hope you find this post helpful! 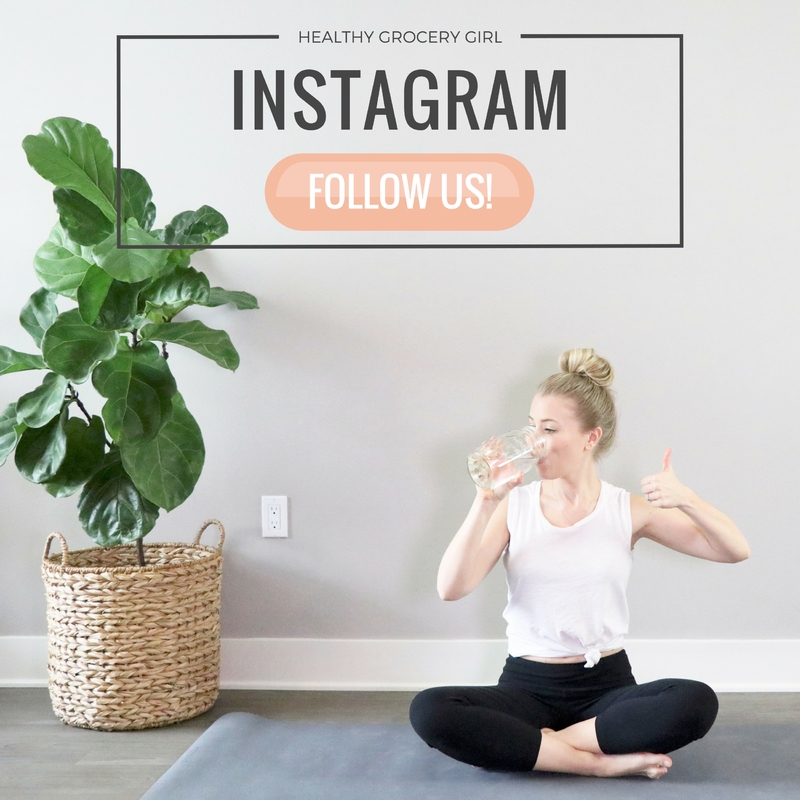 If you make any of these recipes and share on Instagram or social please tag us @HealthyGroceryGirl so we can connect with you and like your photo! TIP: To view each recipe click on the recipe title! These breakfast bars are nutritionally dense and a fun way to enjoy breakfast cereal! Surprisingly, I find that kids love seaweed snacks – or nori used to make veggie sushi rolls! Buy quality, Organic seaweed to avoid a fishy taste. This recipe is gluten-free, vegan & contains no added sugar! 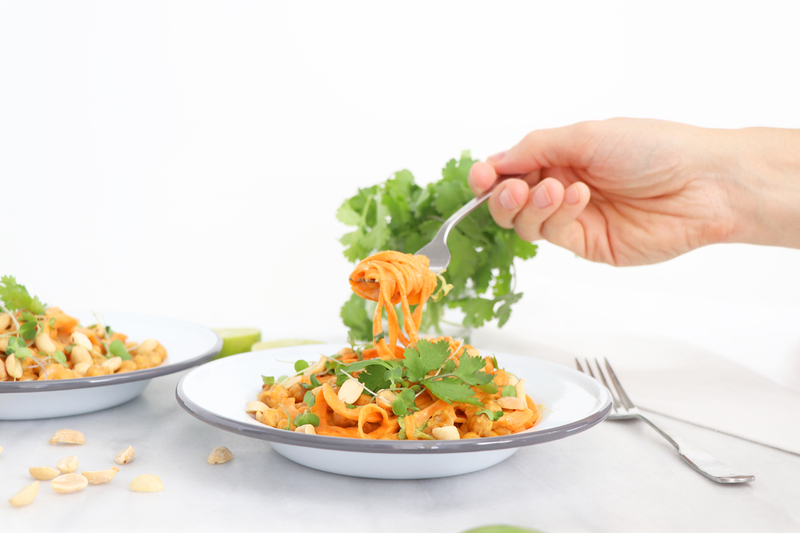 These noodles are made from sweet potatoes! It’s a fun, delicious dish the whole family can enjoy. You can also swap the peanut butter for sunflower seed butter if you’re avoiding nuts. PB&J is a kid classic! These recipes are fun, tasty & made with simple, real ingredients. This pasta salad is made with lentil pasta noodles so it’s high in protein. It can be enjoyed anytime of year, not just summer! You can easily adjust the ingredients to add your favorite veggies. This is a great make ahead meal that the family can enjoy throughout the week. Black beans are a wonderful option for plant-based protein. Top this soup with avocado or cashew cream for added healthy fats and protein! This comfort food meal is so flavorful and is a favorite for kids and adults! Yes this recipe is really simple & uses store-bought pizza crust…. however it’s topped with veggies and in the shape of pizza so kids will love it! You can add any veggie topping you and your family prefer. Waffles are a favorite for all ages! These waffles are gluten-free, vegan & super simple to make. These enchiladas are comforting, filling and flavorful. I recommend dicing or mincing vegetables when adding to recipes such as this one, most kids will not notice they are there or be able to pick them out if the veggies are super small! A sweet and protein-filled snack made with simple real ingredients. Pesto and zucchini noodles may sound like a sophisticated dish… however you may be surprised to know that recipe this a kid favorite! The pesto sauce is also dairy-free. Roasted sweet potatoes are delicious added to meals or enjoyed on their own as a tasty snack. Sweet potatoes contain more fiber than traditional white potatoes. Fiber is key for feeling full and balancing energy and blood sugar levels. This is a vegan twist on a the traditional tuna-fish salad sandwich! It’s also great as a dip enjoyed with crackers. These are fun tasty toast ideas with plant-powered sources of protein from nut and seed butters as well as nut and seed toppings. Protein and fat are two key macronutrients to feel full & satisfied. This salad contains protein from the quinoa and chickpeas and healthy fats from the avocado! Plus the veggies pack fiber, vitamins and minerals. These are a great make-ahead snack to have in the fridge or pack in lunches. Of course, you may want to use a different container than glass if you’re sending to school or are serving to younger children. This is a simple tasty lunchbox combo. Quinoa is a naturally gluten-free grain (that’s actually a seed but it cooks like a grain) and contains more protein and fiber than brown rice! These muffins can be made gluten-free using a gluten-free baking mix. The ground flaxseeds add fiber and healthy omega 3 fats which are known to support brain and heart health. Everyone loves PB&J! Overnight oats is a fun way to prep and enjoy oatmeal. This recipe also includes a homemade strawberry chia jam with no added sugar! These breakfast cookies are one of our most popular recipes. They are easy to make, delicious and filling! These sneaky spinach smoothies I created for a television segment where I made healthy recipes served to a panel of judges to provide their feedback on-air. The judges were all… kids!! Luckily all of these smoothies were kid-approved! It tastes like a creamsicle! Add a handful of spinach to boost your veggie intake! While the title of this blog post is “Detox Smoothies” don’t let this turn you away from enjoying these smoothies with your kids! These smoothies are made with real, simple ingredients everyone can enjoy. The ingredients are nourishing and they also help support the liver, the body’s main detox organ, to function optimally. You can also easily swap the protein powder for a scoop of sunflower seed butter, almond butter or a tablespoon of chia seeds for protein. These are a great way to satisfy a sweet tooth and also pack in a dose of fiber, vitamins, minerals, protein and healthy fats from the nut butter! 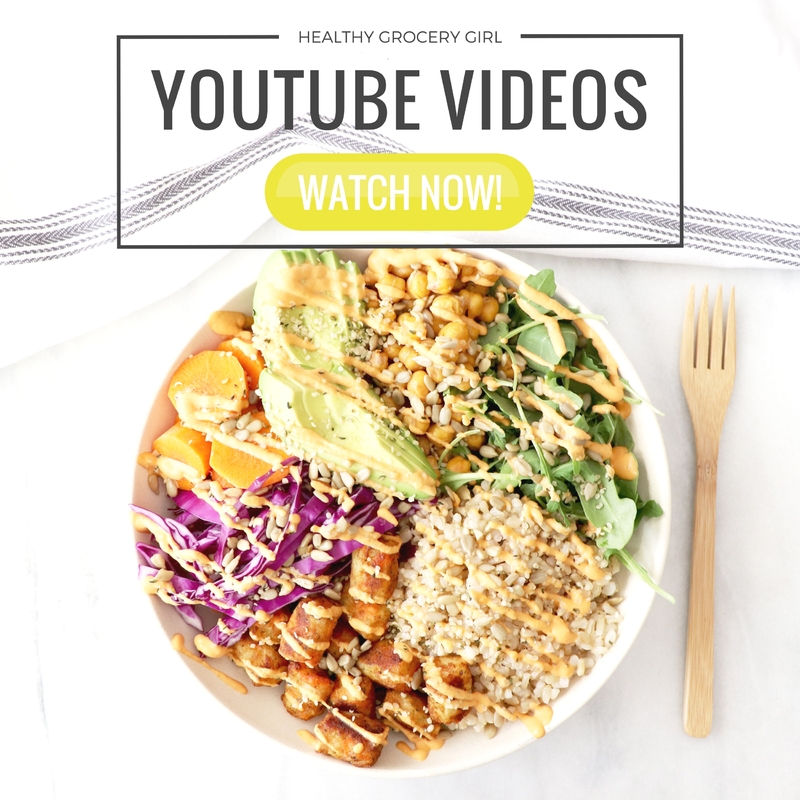 For more plant-powered recipes make sure you are subscribed to the Healthy Grocery Girl YouTube Channel, it’s free! Click here to subscribe.